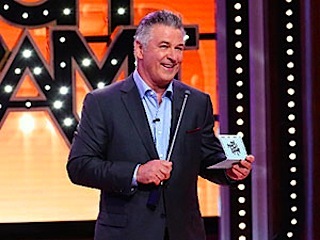 Contestants attempt to match the answers of six celebrities in a game of fill-in-the-blank. Revival of the classic game show. 14. 2-4                 08 Feb 17   Caroline Rhea, Chris D'Elia, Judah Friedlander, Judy Greer, Mekhi Phifer, Vivica A. Fox. 44. 4-4                 30 Jan 19   Chris Parnell, Whitney Cummings, Kevin Smith, Jane Krakowski, Ron Funches and Caitlyn Jenner.